Bob Kapsy – Marketing Directory at Williams Homestead Creamery – contacted us several weeks ago about website design services. He was looking to get a website designed to help with the marketing of their bon bree cheese. Over the weeks, Bob sent us many updates and items that he wanted to have added to the website. After working dillegently with each of his requests, the design has now been completed as the final product. Bob will have many other updates for us in the future as they add on to the website and to their blog articles. One of the great things about being a nationwide web design company is that we can put our talents and exceptionally priced website design services to use for many customers. BsnTech Networks completes or provides website assistance to at least six or more customers on a monthly basis from all over the United States. Many of our customers are on limited budgets and need something simple done and we are here for that request. 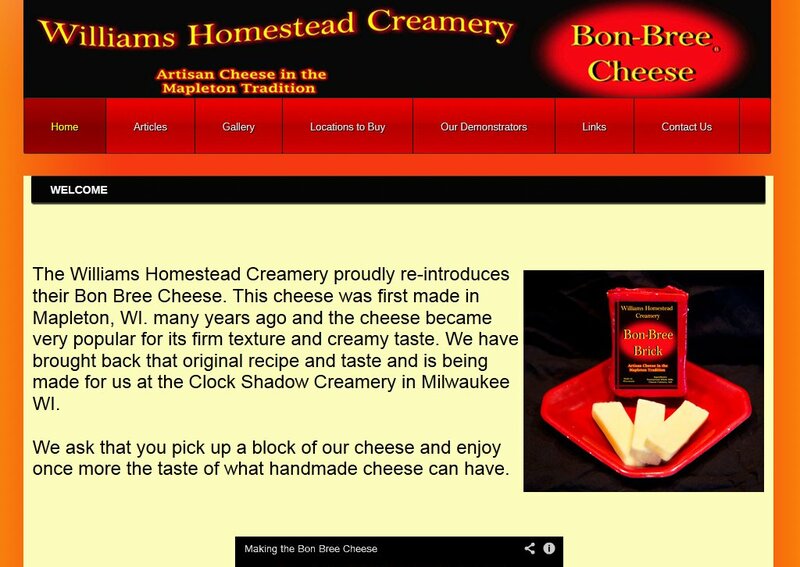 We appreciate the business that Bob and Williams Homestead Creamery have provided us for their website services needs and look forward to providing website maintenance and updates as they need them!